Note: After installation, there would be a small black window (DOS) pops out to register office components, THAT IS NOT VIRUS! Step1. 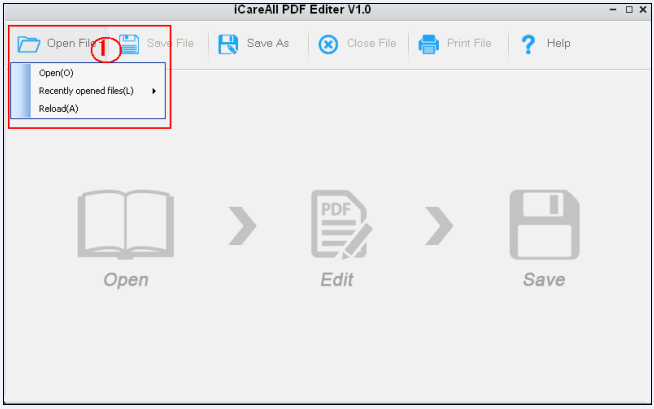 Launch the software and load your pdf to start editing. Step2. You may do any changes on the PDF as wishes like removing, add new photos&words. 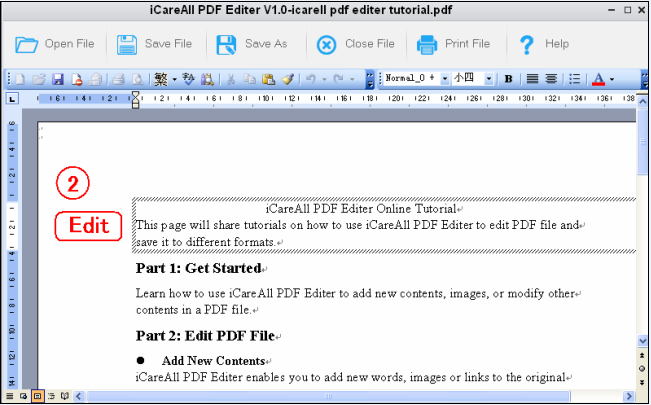 Any user may download and use this pdf software to edit pdf content for free. Simply designed interface makes it pretty easy to edit pdf content as wishes. It is safe to change pdf content with PDF Editor that you may modify, remove or add content. Copyright © 2009-2017 iCareAll Inc. ALL RIGHTS RESERVED.